Autism is a developmental spectrum disorder. Meaning, there is a wide range of symptom severity associated with the condition. Individuals affected by the disorder are not cookie cutter types of patients who fit into a preconceived mold. Many patients with the condition suffer from many differing levels of the disorder. Most individuals, whom are considered on the spectrum, have a mild form of autism that results in communication issues and social awkwardness. April is known as Autism Awareness Month, and it is a common practice to wear blue as a show of support in honor of those individuals who are considered “on the spectrum.” Here are some facts about autism and the use of medication in treatment of the disorder. Asperger’s Syndrome was the commonly known name of the mild form of the condition. However, the categorization of Asperger’s Syndrome is now extinct, according to the Diagnostic and Statistical Manual of Mental Disorders (DSM-5). Currently, an individual who exhibits symptoms of Asperger’s Syndrome will be diagnosed with Autism Spectrum Disorder (ASD) under the new guidelines. According to the Centers for Disease Control and Prevention (CDC), approximately one in 68 children have ASD. CDC data also shows that ASD does not discriminate; it crosses all ethnic, racial, and socioeconomic groups. Moreover, ASD affects boys five times more often than girls. According to reports, one in 42 boys are on the spectrum, as compared to one in 189 girls. Common signs of autism to look for in young children is a lack of ability to multitask and/or switch activities, excessive fussiness when ‘overstimulated,’ not looking at people when their name is called, social awkwardness, and confusion, as well as potential vision and hearing problems. Diagnosis of ASD can be fairly reliably by age two in most affected toddlers. Most parents of children who were diagnosed with the disorder have noticed communication and social issues starting around six months to one year of age. It is also quite common for many children with ASD to be bullied in school because of their communication and social awkwardness issues. However, when other kids are educated about ASD, that level of bullying drops significantly. Now that the facts about autism have been addressed, it is time to explore the use of medication in treatment for the condition. Generally speaking, the use of medications have a limited role in autism treatment. However, medication could be prescribed to help prevent self-injury and other behavioral issues that can be common among sufferers of the disorder. Moreover, medication may be required to help a child attain a functional level at which he or she can benefit from other treatments. It is important to note that there is no standard medication recognized for the treatment of autism. The American Academy of Pediatrics (AAP) has suggested targeting the core behavior issues when considering medicines for patients affected by the disorder. 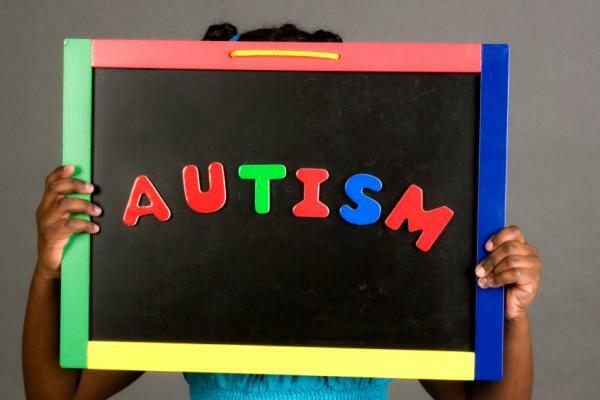 Common medicines associated with treatment of behaviors related to autism include antipsychotic medications as well as selective serotonin reuptake inhibitors (SSRIs). These medications work in different ways and often have significant side effects that should be considered. Some common antipsychotic medications used in treatment of the condition include risperidone, haloperidol, and thioridazine. These drugs work via altering the affected individual’s brain chemistry. Moreover, they may also help decrease behavioral issues that are common among autism sufferers. For example, risperidone has been successful in reducing aggression, tantrums, and self-harming behavior in children with suffering from the disorder. Frequent side effects experienced by autism patients include tremors, weight gain, and sleepiness. Typically, such medication is only prescribed after behavioral therapy/intervention has failed to result in improvement of the sufferer’s behavioral issues. Some common SSRIs used to treat the disorder include fluoxetine, citalopram, and sertraline. These medicines may assist autism sufferers with depression, obsessive behaviors, and anxiety. However, SSRIs can also have side effects, such as irritability, insomnia, and weight changes, but the side effects associated with SSRIs tend to be less severe and debilitating than those of antipsychotic medicines. As an important sidenote, the U.S. Food and Drug Administration (FDA) has issued an advisory on certain anticonvulsants and antidepressant medicines used in the treatment of autism to the risk of suicide, as well as suicidal thoughts in some drug participants. While medications are often not recommended, counter-productive, or potentially dangerous for individuals suffering from the disorder, there are some very good treatments for ASD, including speech, behavioral, and occupational therapy. Autism is a developmental spectrum disorder with wide-ranging symptom severity associated with the condition. Individuals affected by the disorder do not fit into a preconceived mold. Many patients with the condition suffer from many differing levels of the disorder. The bottom line is there are many facts to know about autism and the use of medication in treatment of the disorder.